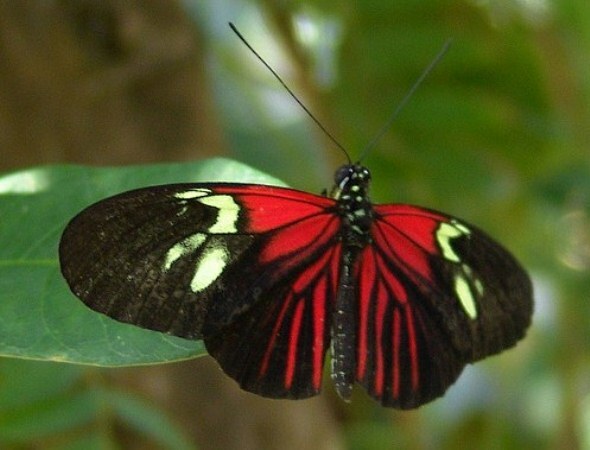 At the Butterfly Pavilion, visitors can walk through five indoor exhibits with more than 150 species of free-flying butterflies, including a rainforest with 300 tropical and sub-tropical plants and 1,600 tropical butterflies. More than 5,000 invertebrate animals can be found. The butterflies fly right past the visitors and may land on them. Visitors also can hold a Chilean rose hair tarantula in the exhibit on crawling things and seastars and horseshoe crabs in the exhibit on aquatic invertebrates. The 30,000-square-foot pavilion, which opened in 1995 as the nation’s first stand-alone non-profit invertebrate zoo, also offers daily educational programs and a 1/2-mile outdoor nature trail loop. The facility is in Denver’s northern suburb of Westminster, just off U.S. 36 at 104th Avenue.